The First Transcontinental Railroad: Did Your Chinese Ancestors Help Build It? 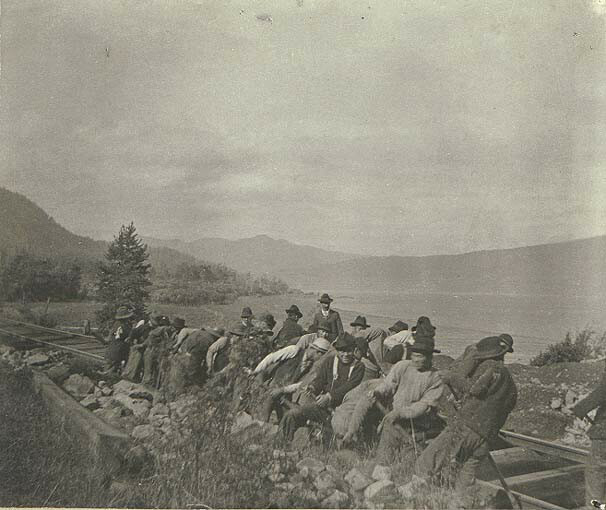 Thousands of Chinese railroad workers helped build the First Transcontinental Railroad. As you celebrate the 150th anniversary of the Golden Spike ceremony that made the transcontinental railroad a reality, you can also explore the stories of your Chinese immigrant ancestors. Throughout the early and mid-1800s, the United States acquired millions of acres of western lands. Would-be settlers were anxious to reach them, especially after the discovery of gold in California in 1848 and the passage of homestead laws that offered inexpensive land for sale. But no easy transportation routes existed west of the Mississippi River. Gradually, thousands of pioneers trampled overland trails into place. Perhaps the most famous of these rough roads, the Oregon Trail, saw over 80,000 travelers. By the Civil War, travel by rail had become safer, faster, and more comfortable in the United States.i Nearly 50,000 miles of track had been laid, but most of it was in the northern states.ii In 1862, Congress passed legislation to fund the building of a transcontinental rail line. Two companies raced for the funds and land rights that were promised for each mile of track they laid. The Union Pacific Railroad laid track westward from Omaha, Nebraska, through southern Wyoming and the Rocky Mountains. The Central Pacific Railroad headed east from Sacramento, California, through the Sierra Nevada Mountains. The two sets of tracks met in northern Utah in 1869. A final spike was ceremonially tapped into place on May 10 at Promontory Summit, Utah, at what is now the Golden Spike National Historic Site. This transcontinental railroad connected the nation’s coasts and the vast interior. It reduced coast-to-coast travel from an arduous, expensive, and sometimes perilous journey of months to a relatively affordable and comfortable trip lasting for several days. Chinese immigrants shouldered the bulk of the work on the western lines. The Central Pacific Railroad recruited Chinese laborers who had previously helped to build railroads in California. They proved so diligent and effective that more Chinese workers were recruited. An estimated 11,000 to 15,000 Chinese laborers helped build the transcontinental railroad. Chinese workers at one point may have constituted close to 90 percent of the Central Pacific workforce. As a group, they were known for performing high-quality work efficiently and for working long, rigorous shifts without complaint. Many Chinese workers risked their lives performing dangerous tasks. Hundreds died during the project. They also faced discrimination and received lower pay for their work. For many years, the identities, experiences, and contributions of Chinese immigrant laborers on the railroad were largely unknown. This situation has begun to change. The Chinese Railroad Workers in North America Project at Stanford University studies and documents the contributions of these workers. The Chinese Railroad Workers Descendants Organization honors their legacy. This latter group will host the Golden Spike Conference of 2019, which celebrates the Chinese-American experience and the building of the First Transcontinental Railroad. Search for your family in free United States records. Attend a free, full-day Chinese genealogy workshop at the Family History Library in Salt Lake City, Utah, on May 9, 2019. Keynote speaker Ava Chin, an award-winning author and New York Times columnist, will speak as a descendant of a Chinese railroad worker. Classes and workshops will focus on researching in the United States and overseas. 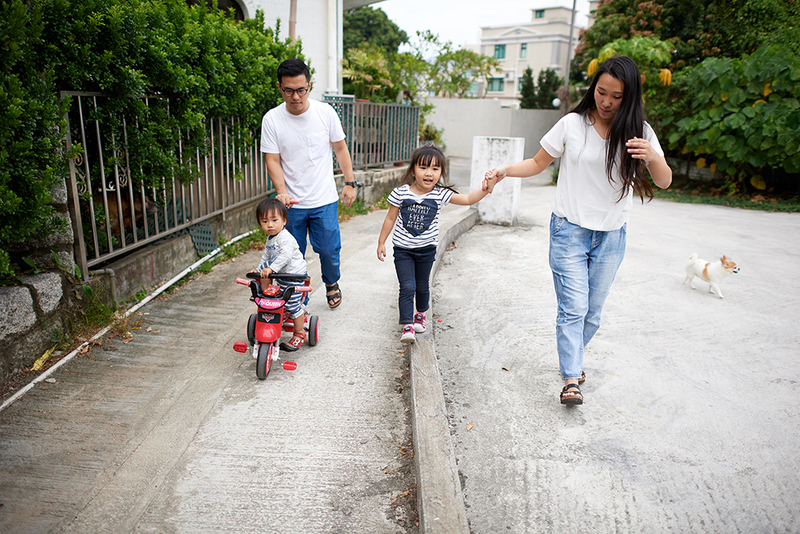 Learn how to search for your family’s jiapu, and see whether it is in the FamilySearch collection. no, none of my Chinese ancestors helped build the railroad, but my great-great grandpa, Robert Todd, who was born in Scotland was most certainly one of the hardest workers on it! He’s standing on the left engine in the very famous photograph taken at the time of the hammering of the Golden Spike.